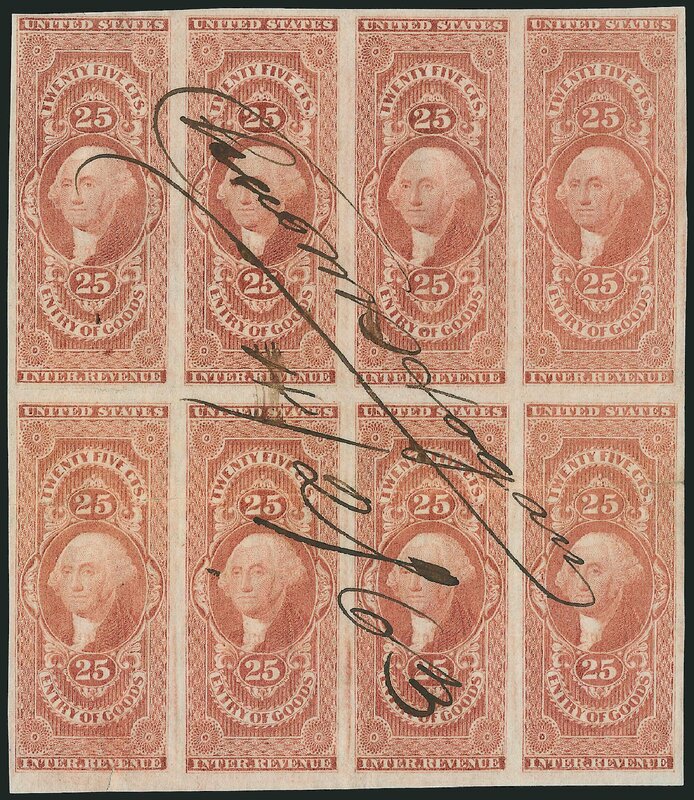 Revenue, 1862, First Issue, 25¢ Entry of Goods, part perf (Scott R45b), neat manuscript cancel, good margins at top and bottom, Very Fine, 2015 P.F. certificate. Scott $300. Estimate price $200 – 300.